Alicia Marie Englert, 23, from Utah was arrested Tuesday on suspicion of attempted murder. She dumped her day-old baby in a neighbour's trash can. 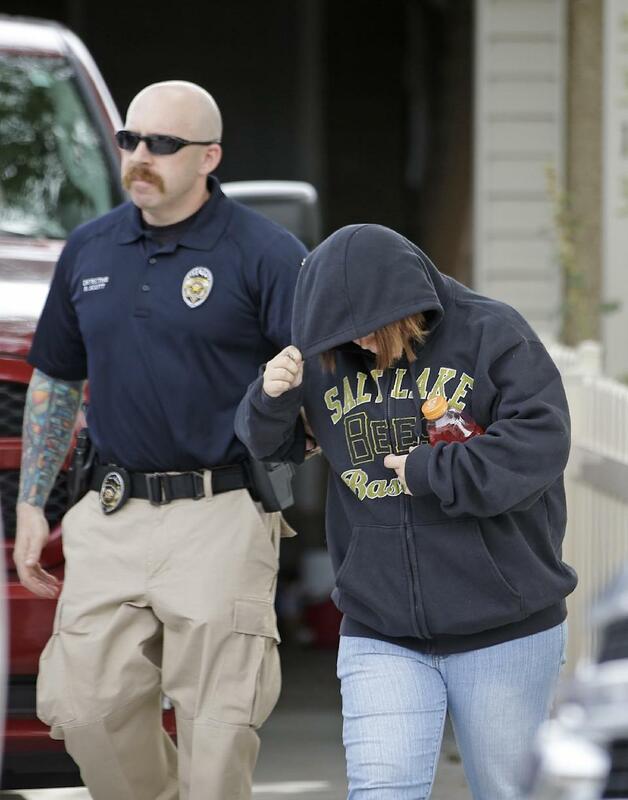 The baby was discovered by a woman who heard what she thought was a kitten meowing in the trash bin in the Salt Lake City suburb of Kearns Tuesday morning, Unified Police Detective Jared Richardson said. The girl was airlifted to Salt Lake City hospital. She was in critical condition, on a ventilator and fighting for her life. The mother told officers she had left the baby about an hour before the child was found, authorities said. Englert told police the baby had not received any medical care or food. Salt Lake County Sheriff Jim Winder, who oversees the Unified Police Department, said at the news conference that there were no visible injuries to the child and no information about the child's father. "We had a young lady make a very, very terrible decision," Winder said.